Carnoustie will force the world's best players to make critical decisions. First and foremost: how often to hit driver. CARNOUSTIE, Scotland — This seaside town has hosted seven Open Championships. This week, it will host two more. Sure, Dustin Johnson and Tiger Woods are in the same field, playing for the same Claret Jug, but they are not really playing the same game. This Open, like your local car dealership before you know it, offers two options: With a driver, or without. Woods said this week, “there’s not a lot of opportunities to hit the driver.” But Johnson, the current world No. 1, sees plenty. He says, with his signature brevity, that he will hit driver “a lot of times.” There will be players who take Woods’s approach, and those who take Johnson’s. To understand why, maybe it’s best not to think of this as a sports debate, but instead like a discussion of fashion or romance: you have to make the choices that are right for you. Hitting driver makes some sense for Johnson. The traditional calculus is that the longer you try to hit it, the more likely you hit it offline. It applies to your weekend golfer and to most great players throughout history, including Woods and Phil Mickelson. But it does not always seem to apply to Johnson. When he is on, he can hit the ball 350 yards or longer, and keep it on a string. When he’s doing that, he can neutralize even the toughest courses in the world, a classification that fits Carnoustie. As with most of his golf life, Johnson has given this exactly the proper amount of thought, and no more. Johnson knows what everybody here knows: The fastest way to go home Friday night is to find Carnoustie’s devilish pot bunkers. Justin Thomas said “the bunkers here are truly a water hazard”—as in, you use one stroke to get out, and then another to actually advance the ball. Johnson thinks there are a lot of holes where he can hit it so long that he takes these bunkers out of play. If he ends up in the rough, that’s not ideal, but he can survive it. As he said this week, the warm and dry Scottish summer has not just hardened the fairways; it means the rough is not as thick, and therefore not as penal, as one might expect. Johnson is not alone in his approach. His workout buddy Brooks Koepka said he will hit driver on “eight or nine” holes—more than he anticipated before he got here. Koepka, like Johnson, amazes fans with his physical gifts but wins largely because of his course management and mind. There is a reason Koepka and Johnson were the penultimate pairing and finished first and third, respectively, at last month’s U.S. Open. And yet: it would be utterly foolish for Woods to reach for driver nine times in any round here. He has won three Opens largely by avoiding trouble. In 2006 at Royal Liverpool, he hit driver once the entire week…and won by two. 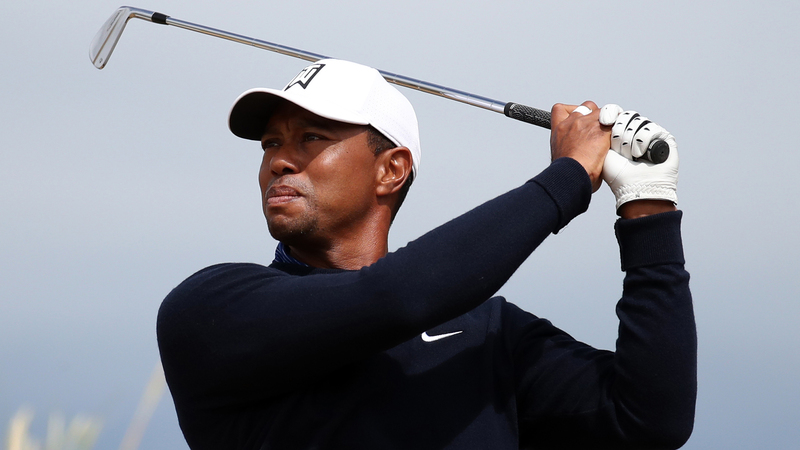 When he won his first Open, at St. Andrews in 2000, Woods did not have to hit a single shot from a single bunker. That was peak Tiger—he was in the midst of a stretch when he won five of six majors—and he could walk across a beach without touching sand. Today’s incarnation of Woods is not like Johnson. The more Woods hits driver, the more trouble he finds. His strength during this comeback has been his iron play, which has been exceptional. He is third this year in strokes gained while approaching the green, and he'll have to rely heavily on that this week, along with the most creative golf mind of his generation. As a general rule, whenever Woods can leave the driver in the bag, he should. There has been a lot of speculation about whether Woods can win another major, and the answer is: of course he can. Many players have won majors playing worse than Woods has played this year, and they weren’t Tiger Woods. His best chance is and will always be the Masters. But his next-best chance is a course where he doesn’t have to rely on drivers. If the wind kicks up and makes players like Johnson regret hitting driver so often, then Woods can contend. The Open tests players in ways that the other majors don’t. It’s like a quiz where the first question is a doozy. There are so many choices, and what is right on one day might be wrong the next. Rory McIlroy said Wednesday that players won’t be able to stick with the same game plan every day. They will have to adjust. But Thomas said “where you really get in trouble is just pressing.” He said if he is two or three over par on Thursday, he must be disciplined enough to keep hitting irons off the tee. That is his plan. That’s not Johnson’s. And that’s part of the fun of the Open.